Webloops - Unique orange crocheted earrings. 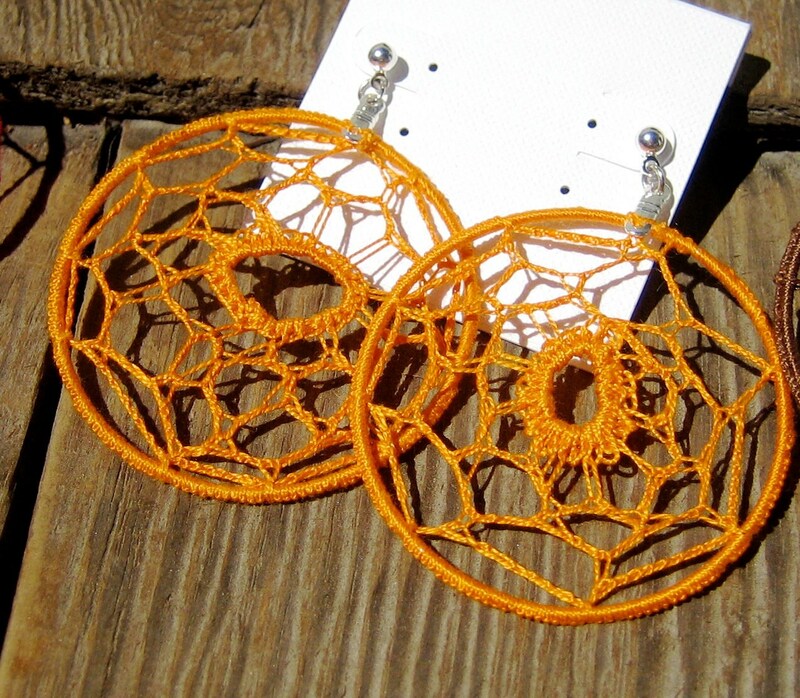 These earrings were crocheted with cotton thread in orange. They are very light and a great accessory to spice up the perfect outfit.